Contrary to popular belief, lanterns are not exclusive to outdoors. Bring the comfort of these lighting pieces inside your home by checking out our selection of lanterns and wall mounts. 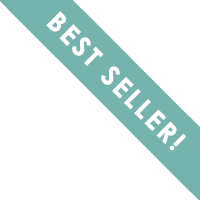 Find your choice of modern, classic or natural inspired fixtures to add a warm, homey feel to your kitchen, dining area, foyer, or covered porch. We offer a wide variety of lantern lighting choices to help you discover the piece that best embodies your personal style. Regina Andrew Lighting Adeline Lantern SmallRegina Andrew combines vintage accents, contemporary details and natural elements to create a truly unique collection of lighting and home furnishings. Regina Andrew Lighting Jane Lantern Large - Polished NickelRegina Andrew combines vintage accents, contemporary details and natural elements to create a truly unique collection of lighting and home furnishings. Regina Andrew Lighting Jane LanternRegina Andrew combines vintage accents, contemporary details and natural elements to create a truly unique collection of lighting and home furnishings. Regina Andrew Lighting Camden Linear Lantern - Polished NickelRegina Andrew combines vintage accents, contemporary details and natural elements to create a truly unique collection of lighting and home furnishings. Regina Andrew Lighting Camden Linear Lantern - Natural BrassRegina Andrew combines vintage accents, contemporary details and natural elements to create a truly unique collection of lighting and home furnishings. Regina Andrew Lighting Cheshire Flush Mount - Oil Rubbed BronzeRegina Andrew combines vintage accents, contemporary details and natural elements to create a truly unique collection of lighting and home furnishings. Regina Andrew Lighting Cheshire Flush Mount - Gold LeafRegina Andrew combines vintage accents, contemporary details and natural elements to create a truly unique collection of lighting and home furnishings. Regina Andrew Lighting Adeline Lantern LargeRegina Andrew combines vintage accents, contemporary details and natural elements to create a truly unique collection of lighting and home furnishings. Regina Andrew Lighting Charlotte Semi Flush MountRegina Andrew combines vintage accents, contemporary details and natural elements to create a truly unique collection of lighting and home furnishings. Regina Andrew Lighting Camden Lantern Small - Polished NickelRegina Andrew combines vintage accents, contemporary details and natural elements to create a truly unique collection of lighting and home furnishings. Regina Andrew Lighting Camden Lantern Small - Oil Rubbed BronzeRegina Andrew combines vintage accents, contemporary details and natural elements to create a truly unique collection of lighting and home furnishings. Regina Andrew Lighting Camden Lantern Small - Natural BrassRegina Andrew combines vintage accents, contemporary details and natural elements to create a truly unique collection of lighting and home furnishings. Regina Andrew Lighting Cape Lantern Small - Black IronRegina Andrew combines vintage accents, contemporary details and natural elements to create a truly unique collection of lighting and home furnishings. Regina Andrew Lighting Cape Lantern Small - Antique Gold LeafRegina Andrew combines vintage accents, contemporary details and natural elements to create a truly unique collection of lighting and home furnishings. Regina Andrew Lighting Wooden Quatrefoil Semi FlushRegina Andrew combines vintage accents, contemporary details and natural elements to create a truly unique collection of lighting and home furnishings. Regina Andrew Lighting Frosted Crystal Bead Semi Flush MountRegina Andrew combines vintage accents, contemporary details and natural elements to create a truly unique collection of lighting and home furnishings. Regina Andrew Lighting Malibu Flush Mount - Weathered WhiteRegina Andrew combines vintage accents, contemporary details and natural elements to create a truly unique collection of lighting and home furnishings. 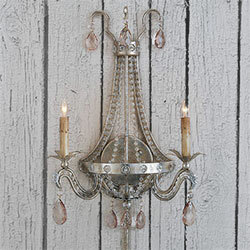 Regina Andrew Lighting Malibu Flush Mount - Weathered PinkRegina Andrew combines vintage accents, contemporary details and natural elements to create a truly unique collection of lighting and home furnishings. Regina Andrew Lighting Malibu Flush Mount - Weathered BlueRegina Andrew combines vintage accents, contemporary details and natural elements to create a truly unique collection of lighting and home furnishings. Regina Andrew Lighting Wood Beaded Semi Flush MountRegina Andrew combines vintage accents, contemporary details and natural elements to create a truly unique collection of lighting and home furnishings. Regina Andrew Lighting Beaded Turquoise Flush MountRegina Andrew combines vintage accents, contemporary details and natural elements to create a truly unique collection of lighting and home furnishings. 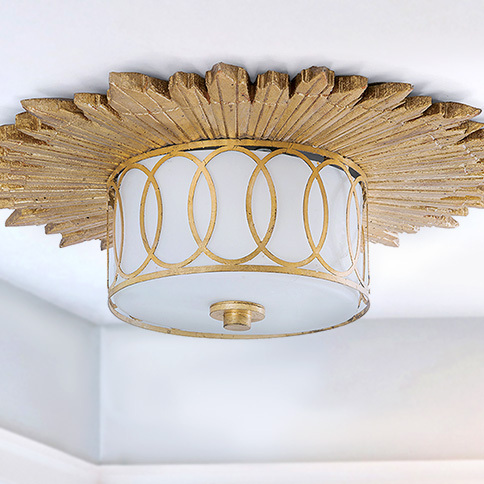 Regina Andrew Lighting Fusion Flush Mount - Gold LeafRegina Andrew combines vintage accents, contemporary details and natural elements to create a truly unique collection of lighting and home furnishings. Regina Andrew Lighting Camden Lantern - Polished NickelRegina Andrew combines vintage accents, contemporary details and natural elements to create a truly unique collection of lighting and home furnishings. Regina Andrew Lighting Cachet Lantern - Oil Rubbed BronzeRegina Andrew combines vintage accents, contemporary details and natural elements to create a truly unique collection of lighting and home furnishings. Regina Andrew Lighting Gotham Flush Mount - Polished NickelRegina Andrew combines vintage accents, contemporary details and natural elements to create a truly unique collection of lighting and home furnishings. Regina Andrew Lighting Gotham Flush Mount - Natural BrassRegina Andrew combines vintage accents, contemporary details and natural elements to create a truly unique collection of lighting and home furnishings. Regina Andrew Lighting Cape Lantern - Blackened IronRegina Andrew combines vintage accents, contemporary details and natural elements to create a truly unique collection of lighting and home furnishings. Regina Andrew Lighting Cape Lantern - Antique Gold LeafRegina Andrew combines vintage accents, contemporary details and natural elements to create a truly unique collection of lighting and home furnishings. Regina Andrew Lighting Rupert Flush Mount - Worn SteelRegina Andrew combines vintage accents, contemporary details and natural elements to create a truly unique collection of lighting and home furnishings. Regina Andrew Lighting Cachet Lantern - Natural BrassRegina Andrew combines vintage accents, contemporary details and natural elements to create a truly unique collection of lighting and home furnishings. Currey & Company Lighting Huntsman Lantern Known for light fixtures and home furnishings designed with attention to detail and artfully crafted finishes, Currey & Company lighting and furniture hints at styles inspired from European antiques combined with a sophisticated, modern elegance perfect for today's home. 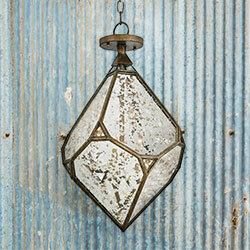 The Huntsman Lantern Chandelier is a modern-inspired design. Its simple and elegant oblong frame features a two-toned black and brass finish. Currey & Company Lighting Miller Lantern Bronze Known for light fixtures and home furnishings designed with attention to detail and artfully crafted finishes, Currey & Company lighting and furniture hints at styles inspired from European antiques combined with a sophisticated, modern elegance perfect for today's home. Simple, classic, elegant. The Miller Lantern/Bronze Lantern is a quintessential hanging fixture in antique bronze, featuring a fabric shade diffuser. Currey & Company Lighting Miller Lantern Nickel Known for light fixtures and home furnishings designed with attention to detail and artfully crafted finishes, Currey & Company lighting and furniture hints at styles inspired from European antiques combined with a sophisticated, modern elegance perfect for today's home. Simple, classic, elegant. The Miller Lantern/Nickel Lantern is a quintessential hanging fixture in polished nickel, featuring a fabric shade diffuser. Regina Andrew Lighting Fusion Flush Mount - Silver LeafRegina Andrew combines vintage accents, contemporary details and natural elements to create a truly unique collection of lighting and home furnishings. Currey & Company Lighting Charisma Lantern, Large Known for light fixtures and home furnishings designed with attention to detail and artfully crafted finishes, Currey & Company lighting and furniture hints at styles inspired from European antiques combined with a sophisticated, modern elegance perfect for today's home. Currey & Company Lighting Charisma Lantern Known for light fixtures and home furnishings designed with attention to detail and artfully crafted finishes, Currey & Company lighting and furniture hints at styles inspired from European antiques combined with a sophisticated, modern elegance perfect for today's home. Currey & Company Lighting Ennis Lantern Known for light fixtures and home furnishings designed with attention to detail and artfully crafted finishes, Currey & Company lighting and furniture hints at styles inspired from European antiques combined with a sophisticated, modern elegance perfect for today's home. Currey & Company Lighting Lynworth Lantern, Gold Known for light fixtures and home furnishings designed with attention to detail and artfully crafted finishes, Currey & Company lighting and furniture hints at styles inspired from European antiques combined with a sophisticated, modern elegance perfect for today's home. Currey & Company Lighting Lynworth Lantern, Silver Known for light fixtures and home furnishings designed with attention to detail and artfully crafted finishes, Currey & Company lighting and furniture hints at styles inspired from European antiques combined with a sophisticated, modern elegance perfect for today's home. Currey & Company Lighting Benson Lantern Known for light fixtures and home furnishings designed with attention to detail and artfully crafted finishes, Currey & Company lighting and furniture hints at styles inspired from European antiques combined with a sophisticated, modern elegance perfect for today's home. The Benson Lantern combines the sleek look of a French Beige Shantung shade with an exterior wrought iron frame for a striking and distinctive look. Regina Andrew Lighting Cachet Lantern - Polished NickelRegina Andrew combines vintage accents, contemporary details and natural elements to create a truly unique collection of lighting and home furnishings.The industrial design of the Regina Andrew Lighting Cachet Lantern - Polished Nickel features a metal and glass trapeze like structure, exuding a sleek and contemporary style. Regina Andrew Lighting Camden Lantern - Natural BrassRegina Andrew combines vintage accents, contemporary details and natural elements to create a truly unique collection of lighting and home furnishings.Illuminate your home with the unique design of the Regina Andrew Lighting Camden Lantern - Natural Brass! 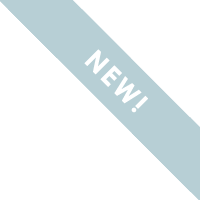 The geometric glass structure with soft brass framework, combines a contemporary design with an industrial finish, a perfect modern designer light fixture!